On Oct. 15, about 250 members of the community attended a public forum hosted by Koreisha Senior Care and Advocacy (KSCA) at Centenary United Methodist Church in Little Tokyo. I would like to summarize some of the speeches. The title of the forum was “Visions for Keiro’s Millions” and one of the purposes was to inform the community what KSCA is doing going forward as well as to solicit input from the community as to how the money, approximately $70 million, should be spent by the new Keiro. 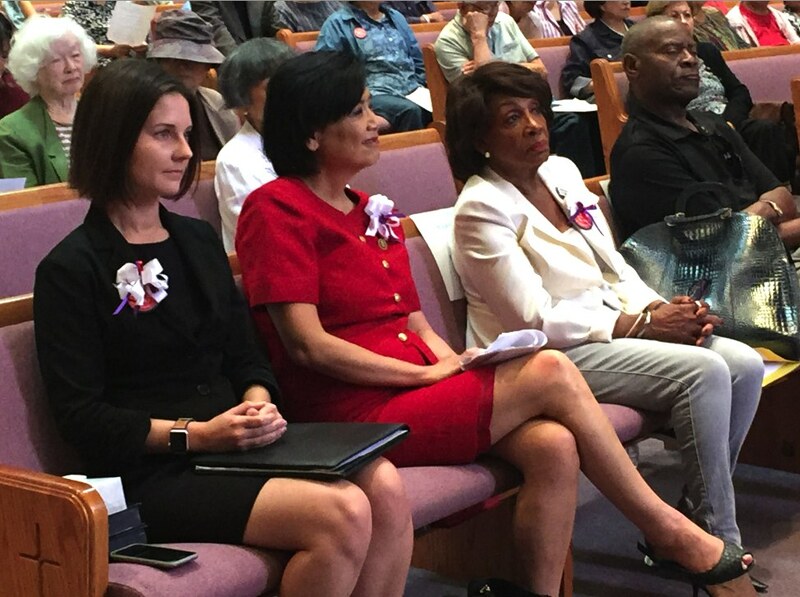 Speakers at the forum included U.S. Congresswomen Maxine Waters and Judy Chu, Assemblyman David Hadley’s representative Sarah Wiltfong, Mary Uyematsu Kao, Mark Masaoka, Bruce Ishimatsu, Mo Nishida, John Hira, Sachiko Morita, Seiji Horio, John Kanai, Dr. Kenji Irie, Keiko Ikeda, Ph.D, and Dr. Takeshi Matsumoto. Keiro was invited to speak but declined. Assemblyman Hadley will continue to push for a public hearing on the sale and also explore legislation to protect healthcare facilities from the lack of transparency. Mark Masaoka of the Asian Pacific Policy and Planning Council. Dr. Kenji Irie spoke about the changes at the nursing home since the sale, including the reduction of Medicare/Medi-Cal patients (Medi-Medi), a new policy instigated by Aspen, clearly to make more money. The number of Medi-Medi residents is drastically lower than a year ago, and have been replaced with Medicare-only residents. This is not what the founders of Keiro intended. Also, many nurses have resigned, so there are fewer bilingual nurses, which is very critical since many of the residents speak primarily Japanese. This is a loss of culturally sensitive care that was to be maintained for five years as a sale condition. 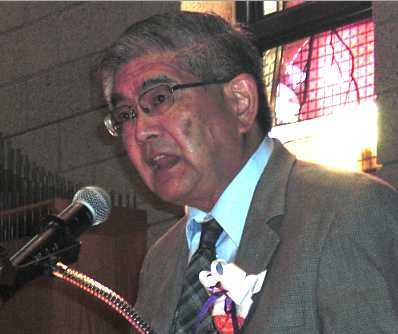 Mark Masaoka, policy director for the Asian Pacific Policy and Planning Council, stated, “Asian Americans are made up of very diverse ethnic groups, languages and cultures. It is greatly important that each different Asian ethnic group have retirement homes and health care facilities with culturally and linguistically appropriate services. Former Keiro facilities met this need until the sale. Letters of support were read from the following people/organizations: Japanese Pioneer Center, Kimochi Inc. (San Francisco), Southern California Gardeners’ Association, Okinawa Prefectural Association, Frank Omatsu (one of the founders of Keiro), Aurora Japanese Language Scholarship Foundation, Japanese Welfare Rights Organization, David Monkawa (national assistant organizing director, California Nurses Association), Kaoru Turner (former president of Aomori Prefectural Association), Kimiko Kelly (Asian Pacific Islander coordinator, Alzheimer’s Association of Greater Los Angeles), Yasuko Sakamoto, LCSW (retired social worker), and the Gardena Pioneer Project. This large group of supporters attests to the community’s overwhelming support of KSCA’s purpose and goals for our Japanese senior citizens. The Keiro Board has often tried to dismiss our movements, the Ad Hoc Committee to Save Keiro and now KSCA, stating we were just a small band of dissidents or activists in the community. Obviously, they tried to delegitimize the groups. KSCA wants to ensure the legacy continues of the eight Keiro founders, some who mortgaged their own homes to fund the original facilities. Reiterating what has been said in the past, Keiro was the most important icon and success story of the Japanese community. We should not allow it to become just a shell of its original purpose. What should be done, in my view, is the current Keiro management should hold a community meeting and work together to decide what is the best course going forward. Koreisha is exploring various options — all are about culturally sensitive facilities to care for the elderly. The community for sure has other good ideas or know of other success stories in the U.S. that could be emulated. And after all, it is the community’s money that Keiro holds. Until Keiro does this, the community will not heal. It is simple as that. Opinions expressed in Vox Populi are not necessarily those of The Rafu Shimpo.